First of all, we would like to say a big thanks to the loyal readers that have suffered my bad spelling and grammar and numerous typos on our blog journey through Asia. To date we have had 691 visitors and 3,453 views. We are not full time bloggers yet but it’s been a good journal of our time away. 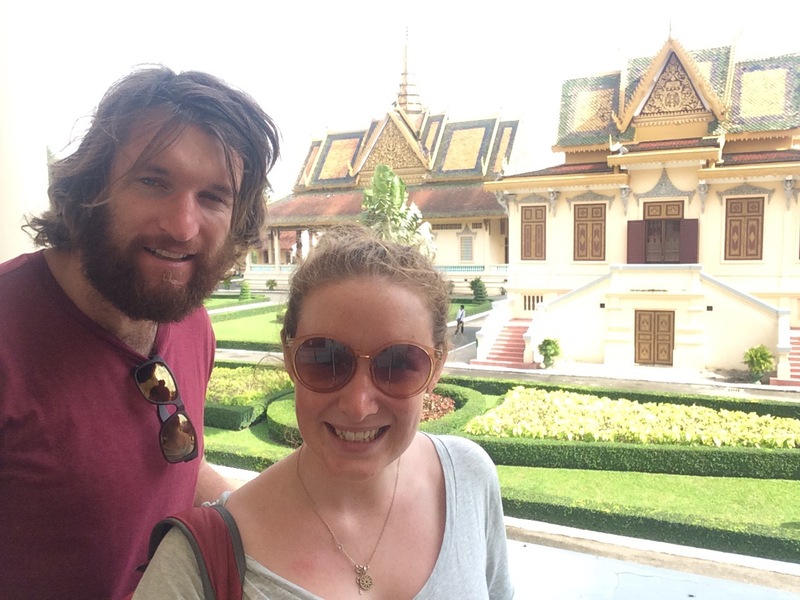 So to Phnom Penh… we were staying in Mad Monkeys. If you can imagine everything you dislike about young, noisy, arrogant, drunk teens taking a gap year then you are pretty close to envisaging what Mad Monkeys is like. 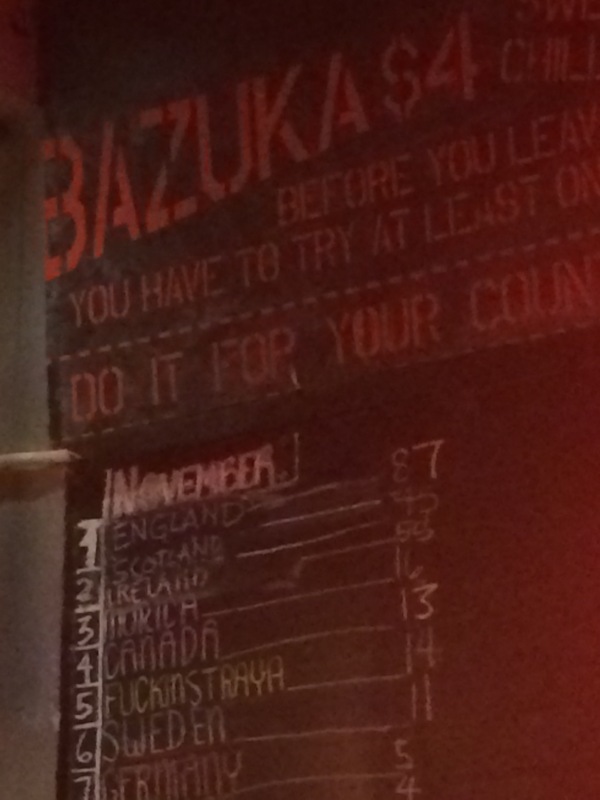 The hostel itself is brilliant. Massive and clean with loads of drinks offers and a pool. Conscious that not *too* long ago we were those noisy, arrogant, drunk teens we decided to embrace the hostel but at a slightly different pace to our fellow guests. 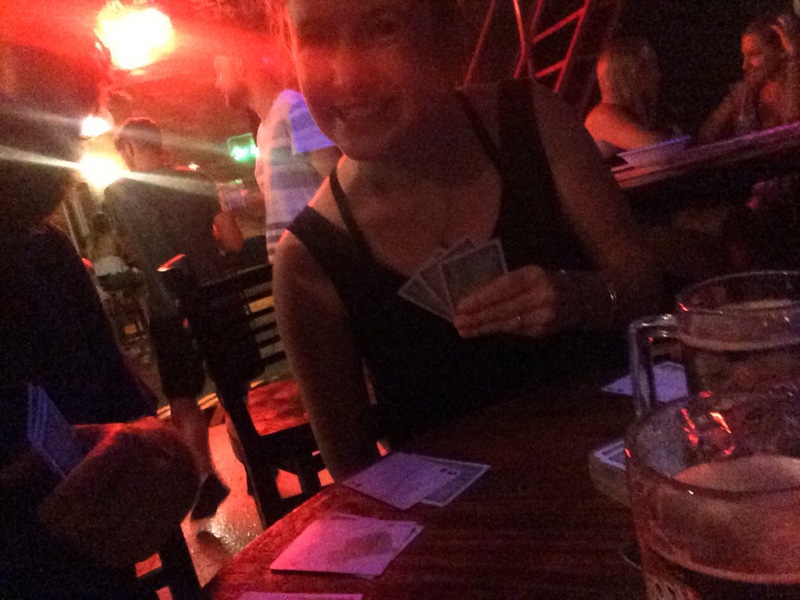 The photo of us in a crowded bar playing cards pretty much sums up how wild we were. Feeling our age we embraced the cultural side of Phnom Penh and I hardly have any photographs of this, let me explain. Cambodia has a tragic history and the killing fields and the genocide museum, former S-21 prison, tastefully chronicle the Cambodian genocide. However, none of the well preserved graves or bones of dead children or skulls of the victims compelled me to take a photo of them. Rather than clicking away and selfie-ing in front of the faces of the dead prisoners (people were actually doing that) we just listened to the really well curated audible guides and took it all in. My lack of photos does not in any way mean that I did not appreciate either of the experiences and, while I can’t say that it is enjoyable, it is certainly a place of remembrance and learning that thoughtfully preserves the honour of the 2 million people who were killed by the Khmer Rouge regime under Pol Pot. You can read more about it here. The following day we visited the National Museum which wasn’t worth the entrance fee unless you are a massive fan of large ceramic urns. I’m fond of good table ware but even this was a bit much. 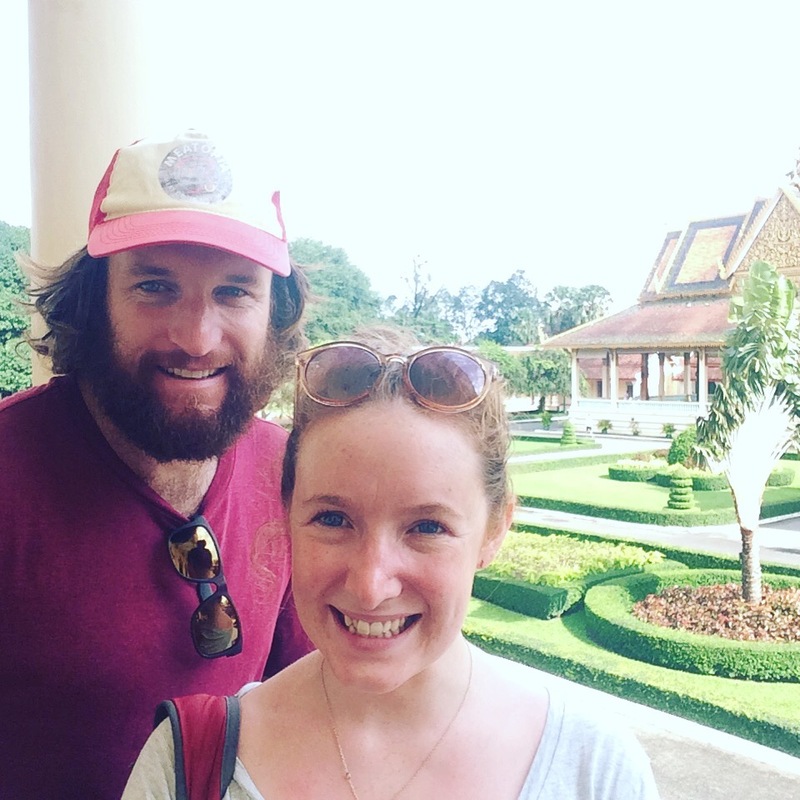 The royal palace was a sweaty affair because you have to have your legs covered, but it was a nice glimpse at the lavish quarters of the King of Cambodia. All in all, an interesting two days. Footluce and Disco’s high and low: learning about the sad history of Cambodia.